With hundreds of children still poisoned by lead each year in Baltimore, city lawmakers are pushing for a series of bills in Annapolis to get tougher on landlords, sue lead paint companies, conduct better state investigations and fix lead-contaminated school drinking fountains. Children go to school to learn – not to face brain-harming levels of lead exposure.State lawmakers are working this year to expand upon legislation passed two years ago that shined a light on elevated lead levels in the drinking water at thousands of Maryland schools. Childhood lead experts across the country panned a federal action plan to reduce childhood lead exposure that the Trump administration unveiled on Wednesday, criticizing the strategy’s shortcomings, including its failure to commit to the elimination of lead poisoning, update federal standards and regulations with concrete timelines, and specify funding sources to implement its goals. 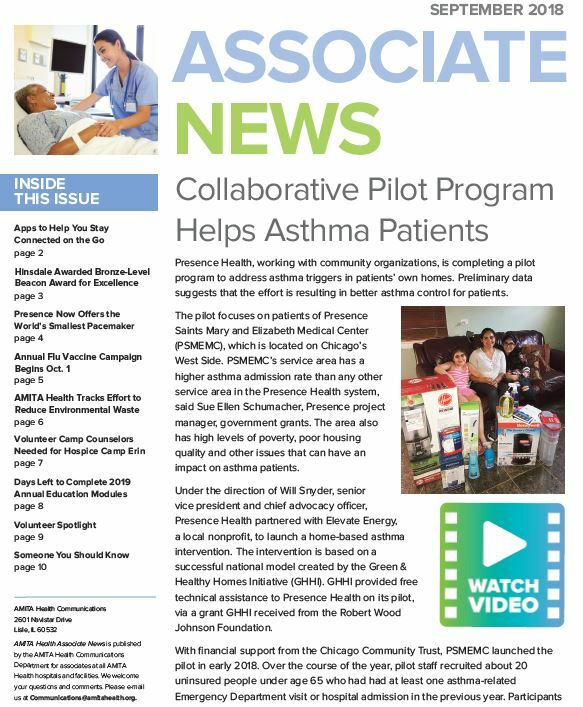 Presence Health, working with community organizations, is completing a pilot program to address asthma triggers in patients’ own homes. Preliminary data suggests that the effort is resulting in better asthma control for patients.